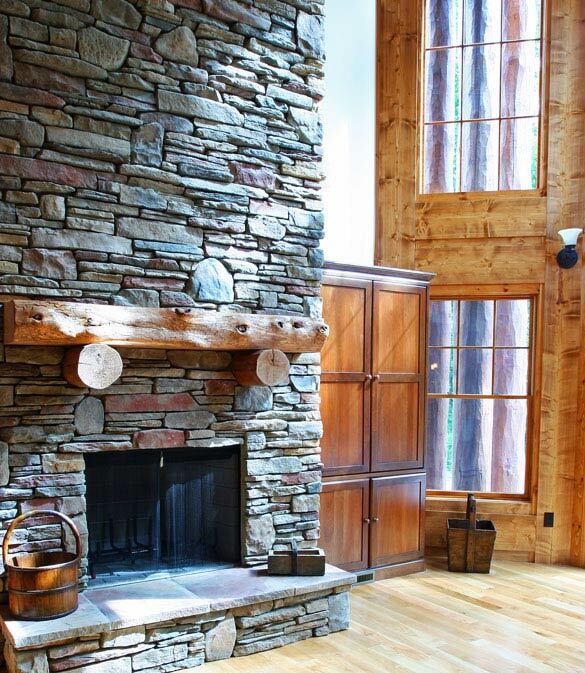 There’s more than one reason why we use tongue & groove, kiln dried, Northern White Cedar. It’s durability and thermal capacity are superior to that of any other wood, in addition to its “R” factor (a measure of how well substances resist heat transfer). Second, our Cedar is naturally resistant to mold, mildew, insects and rot. It doesn’t easily warp, shrink, splinter, settle or require caulking or chinking saving you from costly upkeep. And lastly, the peace and quiet you’ll enjoy from its unique cellular structure is second to none. We want you to enjoy every possible moment in your new home. That’s why we offer the option to pre-finish your exterior and/or interior with stain in a climate controlled environment by a certified pre-finisher. This way you can avoid the mess and hassle of having to do it yourself and correctly judge the weather (rain/snow, temperature). 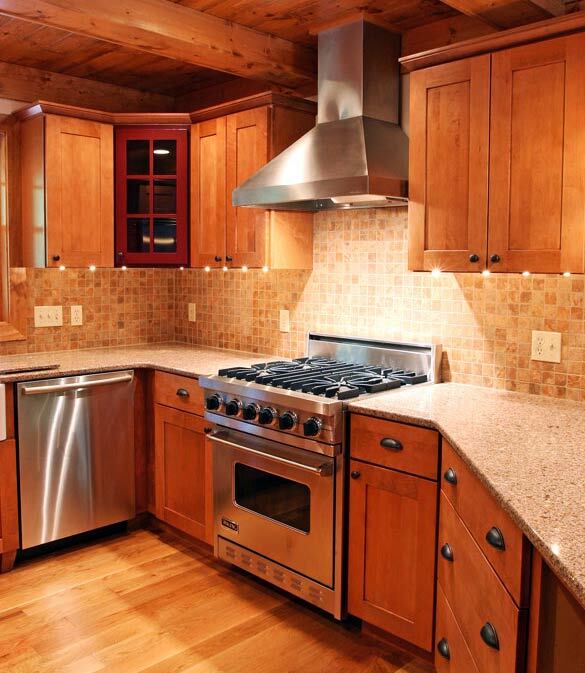 Whatever you decide to build (a primary residence, cottage getaway, guesthouse or addition), or whatever method of construction you decide to use, each can be completely custom-designed right down to the cabinets and countertops. Or you can choose to use or modify one of our 63 stock floor plans. Not ready to start from the ground up? Then just add our Cedar log components to the exterior of an existing structure. 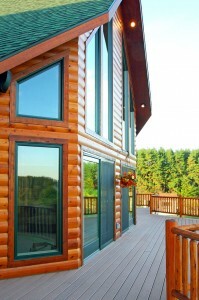 You’ll still have the log home look on the outside and at a substantial savings.